Discover why American literature is relevant and still worth reading today. 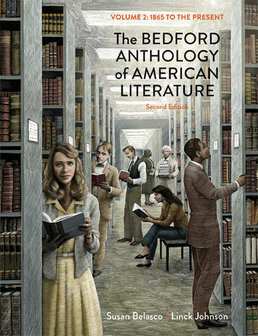 Bedford Anthology of American Literature, Volume Two teaches you to read, appreciate, and understand American literature. The accompanying illustrations also help you grasp the cultural, material, and social conditions in which literary works are produced. "As the Lord Lives, He Is One of Our Mother’s Children"
*An Egyptian Pulled Glass Bottle in the Shape of a Fish"
"Miss Moore and Edgar Allan Poe"
From "A Cautionary Tale and a Partisan View"
from "A Conversation: Sherman Alexie and Diane Thiel"
Susan Belasco (BA, Baylor University; PhD, Texas A&M University), professor of English and women's studies at the University of Nebraska, Lincoln, has taught courses in writing and American literature at several institutions since 1974, including McLennan Community College; Allegheny College; California State University, Los Angeles; and the University of Tulsa. 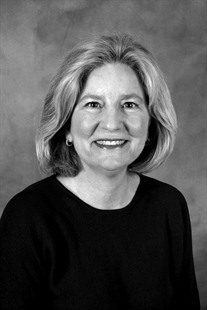 The editor of Margaret Fuller's Summer on the Lakes and Fanny Fern's Ruth Hall, she is also the coeditor of three collections of essays: Approaches to Teaching Stowe's "Uncle Tom's Cabin"; Periodical Literature in Nineteenth-Century America; and Leaves of Grass: The Sesquicentennial Essays. The editor of "Walt Whitman's Periodical Poetry" for the Walt Whitman Archive (whitmanarchive.org), she is the current president of the Research Society for American Periodicals. 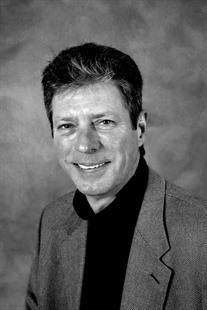 Linck Johnson (BA, Cornell University; PhD, Princeton University), the Charles A. Dana Professor of English at Colgate University, has taught courses in writing and American literature and culture since 1974. He is the author of Thoreau's Complex Weave: The Writing of "A Week on the Concord and Merrimack Rivers," with the Text of the First Draft, the Historical Introduction to A Week in the Princeton University Press edition of The Writings of Henry D. Thoreau, and numerous articles and contributions to books. The recipient of a National Endowment for the Humanities Fellowship at the American Antiquarian Society, he is a member of the Editorial Board of the Collected Works of Ralph Waldo Emerson and ESQ: A Journal of the American Renaissance.